Institute of Banking Personal Selection is now ready to choose the highly willing/ talented/ eligible/ interested/ candidates towards the latest job opening which has been called as IBPS Specialist Officer Recruitment 2017. You must be looking for latest Banking Jobs and this is the best chance for you to get the best of. You should not let this great job opportunity rest; rather you should download IBPS SO CWE VI Notification 2017. The important thing to note is that online applications for being the participant in this vacancy can be submitted from 16th November by eligible candidates only. The last date to submit online applications for this IBPS SO CWE 6 Recruitment is 2nd December 2016. Grab detailed data at www.ibps.in. Institute of Banking Personal Selection spreads updates via its official website by releasing an official IBPS SO CWE 6 Notification. According to the latest news, for the recruitment to take place, the Bank will conduct an exam named as SO CWE. CWE stands for Common Written Exam and SO stands for Specialist Officer. 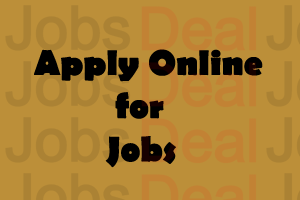 The candidates have always been waiting to download IBPS Specialist Officer Notification 2017 and they can now do that since it is now live and also available through this page of JobsDeal.in. Educational Qualification: There are various degrees that candidates might be required to have, but these requirements are based on different vacancies. The requirements are Engineering Degree, Post Graduate Degree, Degree with DOEACC ‘B’ level Certificate, Bachelor Degree in Law (LLB), Post Graduate Diploma, MBA (Marketing), PGDBA / PGDBM. So, please download IBPS SO Notification to be sure that which degree you should have based on which post you are applying for. Selection Process: The authority will conduct Written Examination for the successful selection of the appearing candidates. Application Fee: The categories which are under the reserved ones i.e. SC/ ST/ PWD shall pay Rs. 100/– and rest students will pay Rs. 600/–. First off, you have to log on to the official website of the bank, which is “www.ibps.in”. After that, check out the “Advertisement” or “Notification” section from the homepage. Thereafter, you would have to download “IBPS SO CWE 6 Notification 2017” and save it. Then, read it carefully so that you can check whether you are eligible for the posts or not. If so, then fill up “Online Application Form” and pay the fee. Finally, you have to submit the form and take a printout of the submitted application form for further usage. If you think that this post deserves a share, please share it with your friends and make it count. If you have any suggestion or query on IBPS Specialist Officer Recruitment 2017, please feel free to tell our JobsDeal Team using the comment panel below. Use the links above to download the advertisement.